Since 2015, mobile traffic has been ahead with the number of Smartphone users globally surpassing 2 billion in 2016. In fact, over 79 percent of all online searches now come from mobile devices. This rise in mobile devices used to access the web is attributed to Google’s Mobilegeddon and AMP On April 21st of 2015, Google released a new search engine algorithm which included a website’s mobile-friendliness as one of the ranking factors. This mobile-friendly ranking algorithm was designed to give a boost to those mobile-friendly pages in the search results. Alternatively, websites that were not mobile friendly experienced a decline in their search engine rankings. The AMP was later announced by Google on October 7th of 2015, with the aim of offering internet users the best mobile experience. These two are the main reasons why responsive web designs have become a popular web development trend nowadays. So what really is a responsive website and how is it important? A responsive website is one that has a fluid and flexible layout that enables it to adjust according to various screen sizes. Therefore, a responsive web design simply means a website design that responds and resizes itself depending on the device being used to view it whether it is a desktop monitor, laptop, smartphone, or tablet. The main aim of this web development is for website content to render differently depending on the device or screen size used to view it so that website users won’t need to manually resize in order to view content. When you add all those things up, it is very clear that having a responsive web design has very many benefits to offer. From positively impacting your SEO and conversion rates to improving user experience, there are many ways it can contribute to your website ranking and growth. To learn more, follow this web development guide for 11 benefits of having a responsive web design. One of the biggest advantages of having a responsive web design is improved search engine rankings. Google takes into consideration all websites responsiveness as one of the determiners of their rank in the search engine results. This only means that when your website is not responsive, it will automatically be placed lower in the search engine results. A responsive website design makes your visitors have a positive experience regardless of which device they used. When your site visitors find that your website scales and responds to changes in scales effectively and they can access all the menus and buttons, they will probably spend much time on it. However, if they find it hard to navigate and are forced to constantly pinch and zoom content, they surely won’t stay for longer. Traffic Statistics show that nearly 79 percent of all global web traffic comes from mobile devices. Actually, this accounts for more than half of all global Internet traffic. This only shows how it is increasingly important to have a website that renders properly on all mobile devices. By implementing a responsive design, you will automatically notice an increase in the number of your website visitors and also the duration they spend on your website. According to statistics, people tend to abandon those websites that take more than three seconds to finish loading content. Thankfully, websites that have a responsive design tend to load much faster regardless of the device used to access it Since they are built with responsive images and fluid grids, it facilitates faster loading of web pages which in turn has a direct positive impact on the duration of your website visitors. Research indicates that the average Smartphone conversion rates are about 64 percent higher than desktop conversion rate. From this, it is very easy to see why creating a responsive website with a good user experience is the key to a higher conversion rate. As your visitors spend more time on your website, they build trust which leads to better conversion rates. 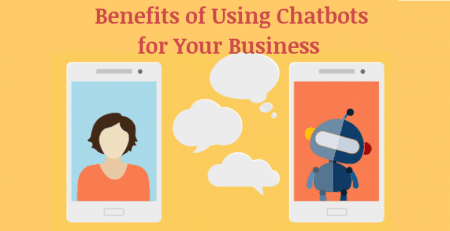 As a matter of fact, users tend to get frustrated being redirected whenever they want to subscribe to a service whether it is signing up for your newsletters or making a purchase. 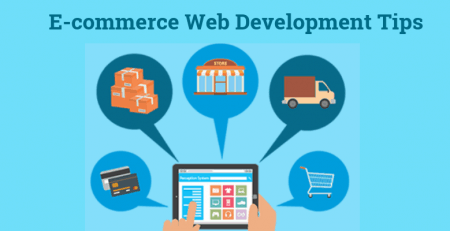 How Website Design & Development Helps your Business Profitable? 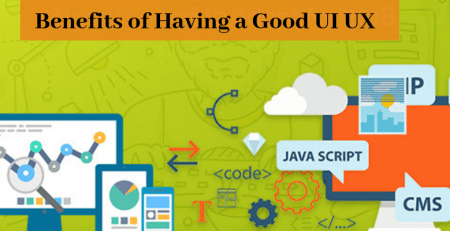 This definitive guide assists for serious entrepreneurs who wish to know the importance of website design and development. To make inform decisions on how to improve your website, you need to know how your users interact with your website. When you have two different versions of your website, it means that your developers will need multiple conversion funnels, paths, and redirects to know important website analytics like where your traffic is coming from and how your visitors interact with your content. On the contrary, with a responsive site, you won’t need to have data from multiple reports to know how your website and content is performing. Having a separate desktop and mobile website requires additional testing and support. 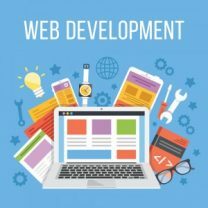 When you have two different versions of your website, your development team will definitely have to divide time and resources to effectively manage them. However, with a responsive website your development team will spend less time on maintenance and have more time to focus on other important tasks like marketing and product or content development. The Bounce rate of a website refers to the percentage of visitors that navigate away from the website after seeing only a single page. Since a responsive website provides a very improved user experience, your website visitors will have no trouble staying on your site for longer periods. As they stay longer, they will definitely be tempted to also click and explore the other different areas of your website. When you have two versions of your website, you will be essentially constantly creating duplicate content. This can result to both versions of your website having lower search engine rankings since search engines won’t know which content is relevant. For both versions of your website to rank well in the search engine results, you would need to have two different SEO strategies and campaigns which would require additional time and finance. In contrast, by creating a responsive website you will have avoided all this headache and additional expenditure. A responsive web design can also lead to an increase in the number of social media shares of your website content. When your website is responsive and has some responsive social media share buttons, it makes it very easy for your site visitors to share embedded links even on smaller screen sizes. More social media shares mean exposure to new audiences which in turn leads to increased website traffic and more conversion rates. Moreover, search engines will notice increased search demand and engagement of your website and improve your search engine rankings. Bottom Line Today, many people access the internet using mobile devices compared to desktops and laptops. Therefore, your website needs to look great and even work well on tablet and Smartphone just as on desktops and laptops. 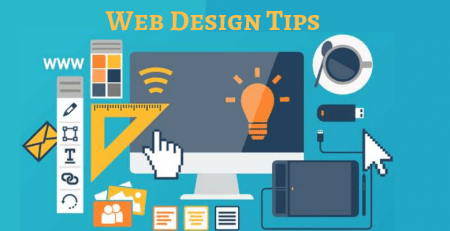 If your website design is not yet responsive, it is a high time for you to look for web design tips and redesign your website to a more responsive one. Doing this will not only help you manage your website more easily, but it will also significantly improve your website’s SEO, conversion rate, and user engagement rate.